Many sellers think that minor exaggerations of the details of the home, or telling a few “white lies” will help get buyers in the door. It can also push them immediately out of the door as well once they realize that is what you did. Don’t underestimate buyers; go ahead and bank on the fact that the buyer will absolutely wonder what else you are lying about. While you consider it “a small fib,” a fib is still a lie. Don’t add “completely renovated kitchen with stainless steel appliances,” to the listing when all you really did was add a stainless steel refrigerator, while leaving the other appliances outdated. Honestly is always the way to go. Again, buyers will wonder what else you are lying about, and chances are, they will not stick around to find out. Countless studies have been done to determine when the most effective time to sell a home is. This is one of the most argued topics these days. However, most people do not have the luxury of waiting for another two seasons to sell their home. Whether it is because they need to relocate, or downsize, they just can’t. However, if you do have the luxury of waiting to sell your home until the “right” time, there are important things to keep in mind. For example, if you have lived in the house for a shorter period of time, it is advised to remain in the house for a few years longer. This is because the shorter amount of time you stay in the home, the higher the equity, which will increase closing costs and all other fees associated with selling a home that may have been avoided had you stayed put for a while. When sitting down with an agent make sure you are comfortable with the length of the listing contract, as it is hard and sometimes impossible to change after the contact is signed. Therefore, both parties should come to a solid agreement on this matter. The number of days will usually be determined by the area of your home, and how “hot” the market is in your area at that time. Any home up for sale should be listed in the MLS as well as open houses, classifieds, Trulia, and many other outlets. With the times we live in now, most buyers utilize the Internet rather than traditional methods. There is no excuse in this day and age, to not be able to properly advertise your home online. 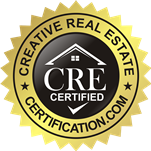 Make sure the realtor you have chosen is well experienced in utilizing the Internet. If they are not, it is strongly suggested to reconsider. All sellers get overly excited when their realtor calls and tells them they have an offer on the home. While it is thrilling, if you do not negotiate the deal properly, countless problems can and do arise. Some owners absolutely refuse to be flexible in a buyer’s demands or requests, as the seller often feels that they are selling their home below its value. Understandably, sellers have emotional attachments to their home. Due to this, their judgment and assessment of this figure is skewed. Instead of going on hard numbers and facts, they let their emotions get in the way. This is another reason why choosing a realtor is so important. A good realtor will not be a “yes man,” and agree with the seller on their price. Instead, a good realtor will bring the seller a little closer to reality. If you have a realtor that immediately agrees with your price, do yourself a favor and get a new one. Of course, there are times where it isn’t necessary to use a realtor to sell your home. One of the appropriate instances is when your home is currently in a hot market and you have a pretty decent amount of knowledge in selling a home. If you price it well, you may be able to sell it for what you want. However, having a professional in most cases is the way to go. That is unless they choose the wrong realtor, which leads us to number 7 on our list. Many sellers consider using a family member or close friend to sell their home. Even worse, many actually go through with it. Just because someone close to you is a realtor, does not mean they are experienced. For most sellers, the top requirement when choosing a realtor is that they view the potential agent as both professional and trustworthy. This is why you should interview multiple agents..that are not related to you. These are the obvious outer problems that a buyer will immediately notice, and they will definitely turn them off. Would you walk into a home and be thrilled that the walls are mildewed, and you’ll for sure be replacing the doors and the AC units? No. If your house is priced laughably high, the buyer won’t even consider it. Sometimes, it is because they aren’t familiar that making offers, and are also unaware that negotiations are standard practice. However, another very large reason too high of a price will turn off a buyer is that they may immediately assume you will be unreasonable, greedy, or difficult to work with. This is why a realtor is helpful and sometimes necessary, as they have access to the hard numbers and facts to correctly determine pricing. However, it should also be a price that you are comfortable with. If you and your realtor determine the value of your home is below what is expected, perhaps it is better to wait, or, come to your sense. What Percentage of the Sale Price do Realtors Take? I’d say the biggest mistake sellers make is trying to be present during home viewings. Such a bad idea. My mom actually did that when she was selling our house and I even told her that she needed to go to lunch or plan tennis, or something. I tried to tell her that no one wants to see a house with the owner there. It’s awkward, and it makes the buyer feel like they’re intruding or something. Can I Increase the Value of My House? Copyright © 2019 We Buy Houses In Kennebunk, Maine. Powered by WordPress. Theme: Esteem by ThemeGrill.